Newark Interiors provide an excellent kitchen design service, creating, supplying and installing a wide range of kitchen carcasses, doors, cabinets and worktops, all completed to the highest of standards, whilst taking into account all customer’s individual tastes and daily lifestyle requirements. As suppliers of top quality leading brands such as Bosch, Blanco, Franke, Miele and Neff, we can ensure you will have all the state of the art appliances, worktops and gadgets you require to complement your new finished kitchen. We also supply and install complete kitchens from leading brands such as Kitchen Stori, Second Nature and Metris. With our huge selection of modern, contemporary and traditional designs to chose from, we have something to suit all tastes and budgets. Our worktops are available from granite, solid surface, laminate and timber. 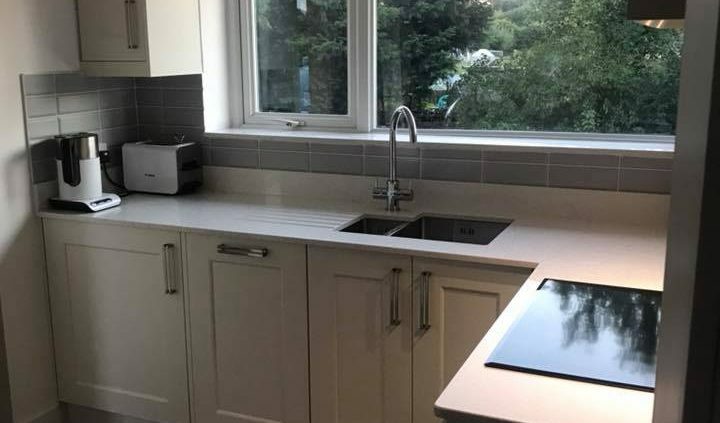 Whatever your requirements from just a new worktop, replacement kitchen doors, or a complete new kitchen, we are happy to carry out all jobs no matter the size. Following a visit to our well equipped showroom in Newark, a site survey is arranged where your requirements are discussed in your own home, as well as any small building alterations also being talked through. Computer generated photo images and plans are then produced to help you visualise your finished kitchen. At this stage the plans can be revised and altered as many times as necessary to achieve the perfect layout for you. At every stage of this process a detailed costing is produced and amended, as the plans are refined and finalised. Our staff will use their wealth of experience to guide and help your decisions regarding the choice of door, worktops, wall tiles and floor tiles. We also offer a large selection of built-in appliances by all major manufacturers. Your kitchen will then be installed by our own craftsmen, who will be on site for the duration of the project. 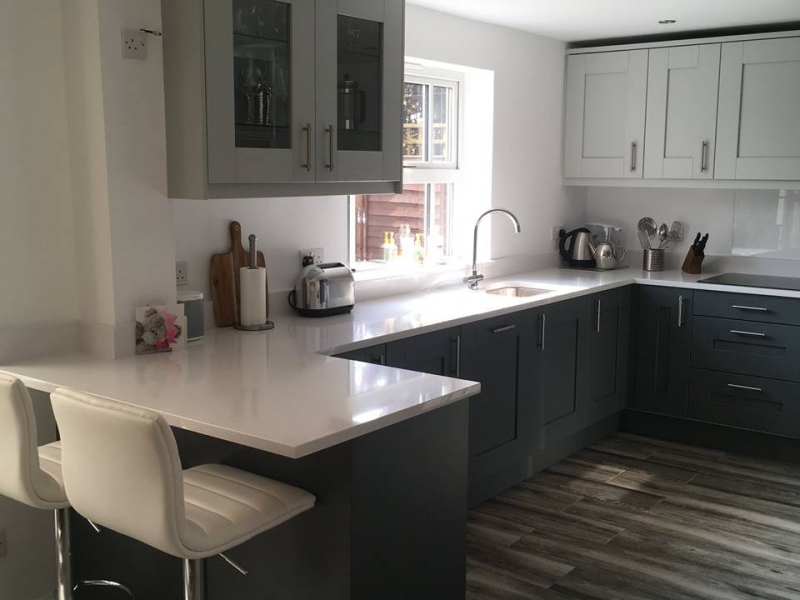 In the shortest time possible, your new bespoke kitchen is complete and Newark Interiors Ltd will leave the site clean and tidy, with all waste having been removed and all appliances connected and working for you to enjoy.